Musings, interviews, product stories & more to boost your digital marketing. Brought to you by the people behind Brightpod. This week we feature Lee Dobson, COO of Bulldog Digital Media. 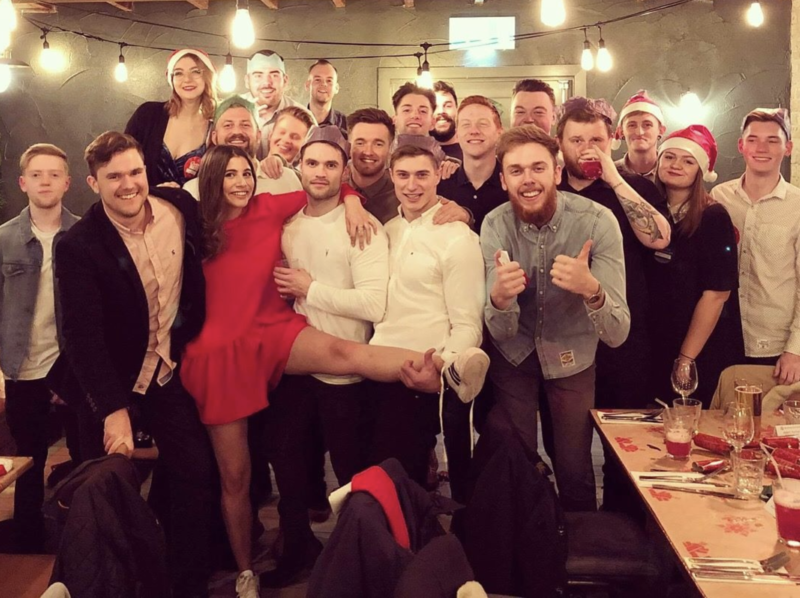 Bulldog Digital Media is an award-winning agency specialising in SEO, PPC, Content marketing and Conversion Optimisation. 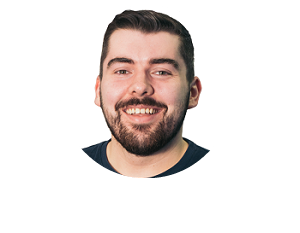 In this interview, you can read more about his work at Bulldog Digital Media, favorite marketing tools, productivity tips as well as his advice for budding marketers. Your location: London, United Kingdom. Your favorite gadget: Has to be my iPhone, I’m a bit of an Apple fan boy. You start your day with: Cereal to fuel my day and more recently found myself drinking iced coffee now the warmer weather is (slowly) arriving in the UK. Your favorite time-saving trick: Set realistic goals for the week rather than over-ambitious ones. This way, you’ll achieve every goal you’ve set and not waste time stressing about irrelevant things. Your top 3 blogs you read daily: I’m more of a YouTube viewer these days, watching informative / inspiration creators such as Gary Vaynerchuk, Casey Neistat and Joe Rogan. I do find myself refreshing Twitter regularly to keep up with current events and follow a number of accounts related to digital marketing to keep myself ahead of the curve. A picture of your workstation or the view outside your window if that inspires you: When the sun’s out – you just can’t beat London! Describe an average day at Bulldog Digital Media? No day is the same at Bulldog Digital Media. As a growing business, our days tend to be very fast-paced and disappear in the blink of an eye! Whether it’s updating clients on progress or tackling the next Google update, we are never lacking in things to do. The team's pretty social so there’s plenty of fun and games (when we have time). I spend a lot of my day overlooking all company processes to ensure it’s running as smoothly as possible and planning how we continue to push forward with our Director (Gareth Bull). I’m constantly researching and learning. If I had to sum up an average day at Bulldog in 3 words, I’d say it’s: fun, busy, and productive. As a founder/ marketer what are some of your favorite productivity hacks? They may seem obvious but keeping yourself organised and knowing when to take a step back are the keys to staying productive. I tend to get everything done when I plan my day accordingly and give myself slots to take a step back and do something that isn’t work related. Going at something with a clear and worry-free mind is far more effective than stressing about what needs to happen next. Having background music is a must for me if I want to be productive! As a person who is well-versed with online marketing/ inbound, I’m sure you rely on a few marketing tools to automate your efforts. What are the top 3-5 tools you use? I’ve tried and tested a lot of marketing tools – some are great, some not so great. The ones I use on a daily basis are SEMrush, Majestic, EmailOctopus and HubSpot. The combination of these 4 mean I can track client and competitor activity at the click of a button, while keeping my processes streamlined and on records. I’ve been using SEMrush and Majestic religiously for years and can’t fault them. I’m pretty new to HubSpot but it has been an absolute game changer – it’s takes a lot of weight off your shoulders and keeps everything in one place. An essential for a growing company. Your company has a growing community of users. How do you use this treasure trove of customer insight to power your marketing efforts? Due to the variety of clients we service, we’ve recently focused our efforts to creating customer personas alongside funnel building activities.This allows us to create a more tailored approach to our marketing which works a lot better than a general awareness campaign. We also closely monitor the content we are publishing and see how our community are engaging with that to help mould our content strategy. We’ve always been an agency that takes customer feedback very seriously, as it’s vital to help us progress and improve what we do. What is your strategy for getting people to your site and then converting them to a customer? Obviously, a site with clear call to actions is the first step. Having worked in SEO for years, getting people to the site is pretty self-explanatory and not something we tend to worry about often. Converting them to a customer is where it gets interesting – we take a very bespoke approach, understanding the underlying goals of our potential client and explaining how our services can fit their preferences. Creating a fun and engaging proposal is far more effective than presenting them with an essay. I find that booking a meeting is one of the first steps to take in order to build that important relationship. Is there any advice you'd like to give to budding marketers to help them work smart and stay productive? Stay organised and follow your instincts. There are going to be times when you feel like giving up, but it’s so important to persevere (cliché, I know). If possible, be generous with your time as this’ll really help avoid stress and you’ll find yourself working to your best ability rather than rushing about. How do teams at Bulldog Digital Media have fun at work/ make work fun? The whole team at Bulldog is very close-knit; we all get along so well which makes it a very fun environment to work in. We take birthdays very seriously so if you are part of the team then doughnuts, personalised cards and silly presents are mandatory. 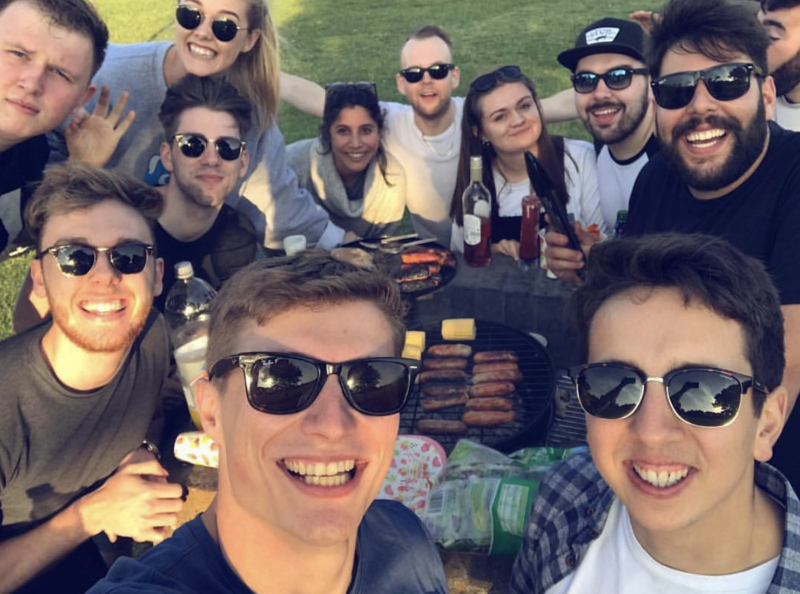 We have work outings every few months or so to encourage team building; a BBQ at the beach and Go-Karting are definitely highlights from the past year. A day never goes by without laughter at Bulldog! A big thanks to Lee for taking the time out to answer these questions! If you haven’t already, we highly recommend that you check out Bulldog Digital Media. Managing marketing projects shouldn’t be chaotic —Try Brightpod for free and start focusing on what matters. Project management software for smart marketing teams. This week we feature Andrew Guru, Co-Founder of Resource Guru. Resource Guru is a resource management software. A fast, simple way to schedule people, equipment and other resources. It is a cloud-based resource scheduling application is suitable for organizations of all sizes. This week we feature Jodie Cook, Founder of JC Social Media. JC Social Media is a specialist social media agency providing management and training services. Their team becomes your online brand and communicates with thousands of members of your target audience every day. This week we feature Tim Chaves, Founder of ZipBooks. ZipBooks is free accounting software that sends invoices, tracks time and expenses, integrates with your bank & lets you process credit cards. From accepting your first transaction to operating a high-revenue operation, they have a plan that covers your business. © 2019 Brightpod. All Rights Reserved.